Parade (with 2 cameras) is a single screen video work that was incuded in the exhibtion Parallax #2 (2016). 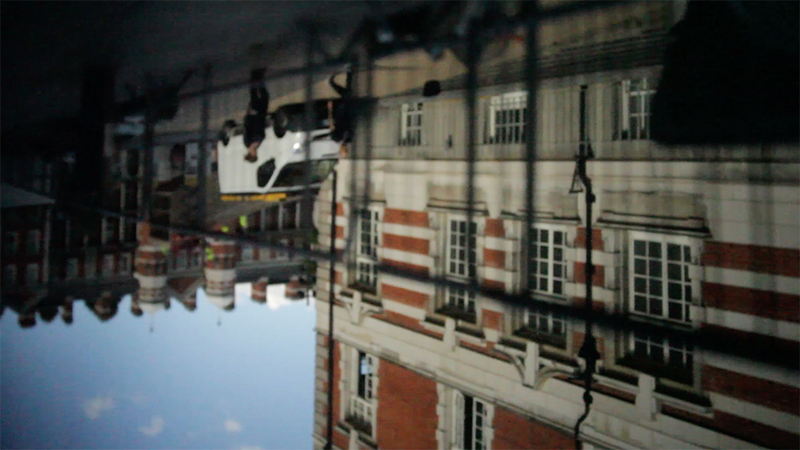 Made at Chelsea College of Arts on the last day of the summer vacation before the new academic year in September 2016, Parade (with 2 cameras) features a large hand built camera obscura. 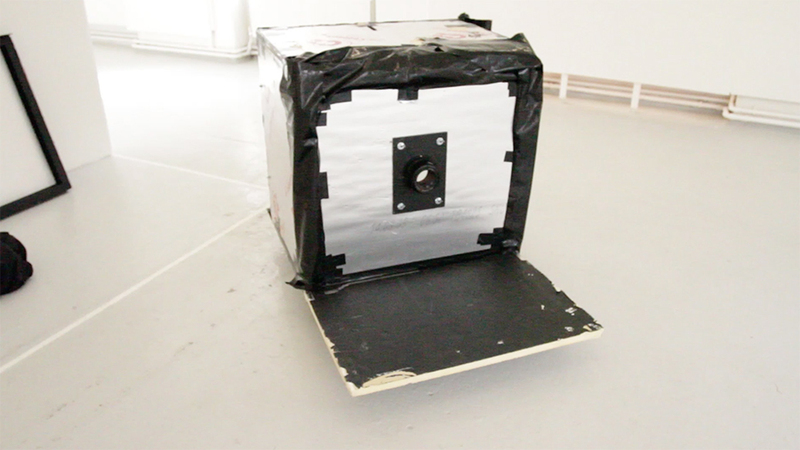 The camera obscura is both part of the subject matter of the video and the apparatus of its production. The video, filmed using a basic digital SLR camera begins with a shot of the DIY, roughly-made camera. The digital camera is placed inside the camera obscura, which is subsequently sealed, revealing the image the camera obscura projects; upside down inside the camera’s dark interior chamber. The large camera is then wheeled around the site. 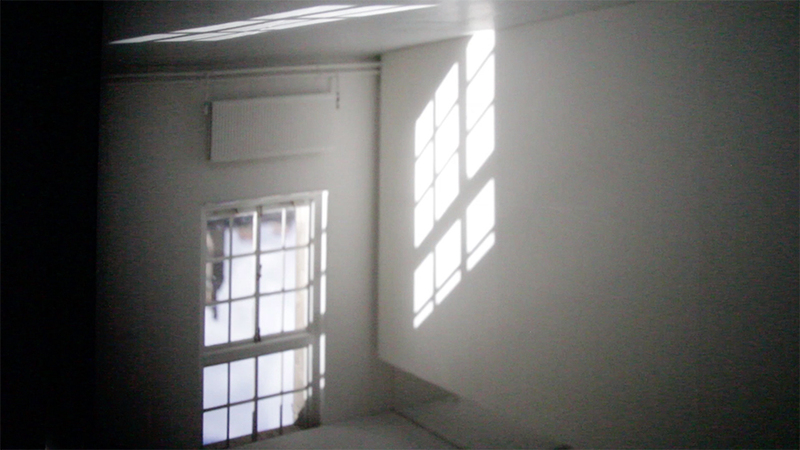 The inverted projection shows the area between the Cookhouse and Triangle Spaces where Parallax #2 was installed complete with the sound of the final stages of preparation for the new year. The film also features the inside of one of the Fine Art studios. The studio is a blank, empty space, waiting for the new cohort of students. The video both reveals the process by which cameras’ work and exposes the process by which this work was made. 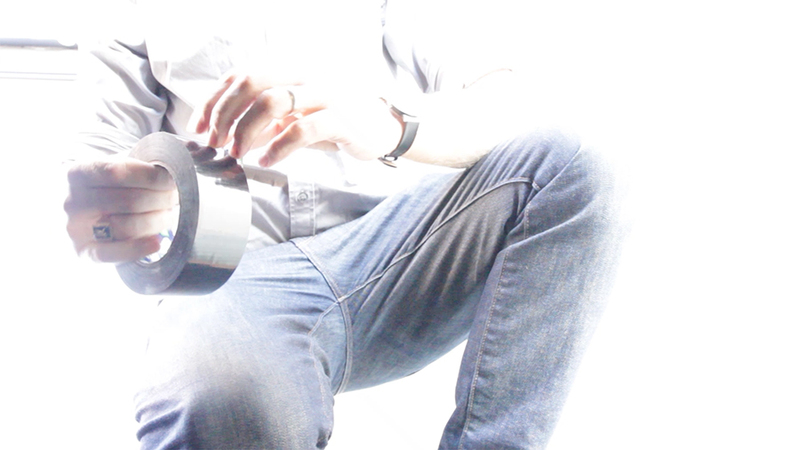 The HD video brings together contemporary modes of image making with the most ancient image production technology. Parade (with 2 cameras) from martin newth on Vimeo.